Luis Otero is one of Latin America's most respected professional magicians. 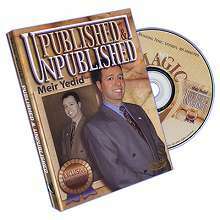 He has been a featured performer at the famous Magic Castle, The 4F convention, Jornadas del Escorial in Spain (where Master Juan Tamariz invites just 40 of the top minds in card magic), FISM, and numerous other performances and lectures worldwide. In Cartificios, you will find well thought out stunning routines that are the result of countless hours of Luis Otero studying and amazing with pasteboards. 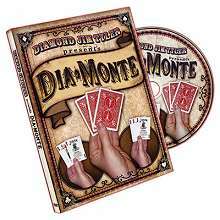 "Cartifice" Luis Otero demonstrates and explanations the details that make every one of the pieces in this DVD set real gems that you will use and amaze your audiences with. This will be a tremendous treat for advanced card lovers. Hot Side Faces: A very visual, stunning, and magical change of two selected cards. Re-Sandwiched: Two selected cards appear between two kings, one at a time. A sandwich effect that will fool you badly. That's How They Are: An engaging effect with a devilish combination of principles. Metamorphosis: Houdini's incredible effect for close up, impromptu. Progressive Oil and Water: A highly visual and amazing oil and water routine. Name Empathy: A beautiful effect with a very strong magical moment. Photogenic card: A very commercial plot... take an imaginary picture of a thought of card. ACAAN: Two very useful techniques applied to this classic of magic... really a great contribution to your sleight arsenal. Cold Spelling: The ultimate spelling routine with a great climax. 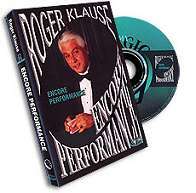 Blind Estimation: A master piece of principles, numbers and magic combined in an extraordinary multi-climax routine. 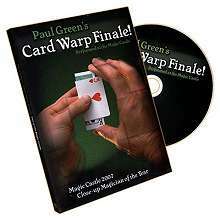 Be prepared to be fooled over and over after watching Luis Otero's Cartificios and then be delighted to learn the wonderful secrets behind these card miracles.